The Outer banks offer a variety of locations to depart from to perform Ash Scatterings at Sea. Cape Hattera’s deep waters make an ideal location for Full Body Burials at Sea. 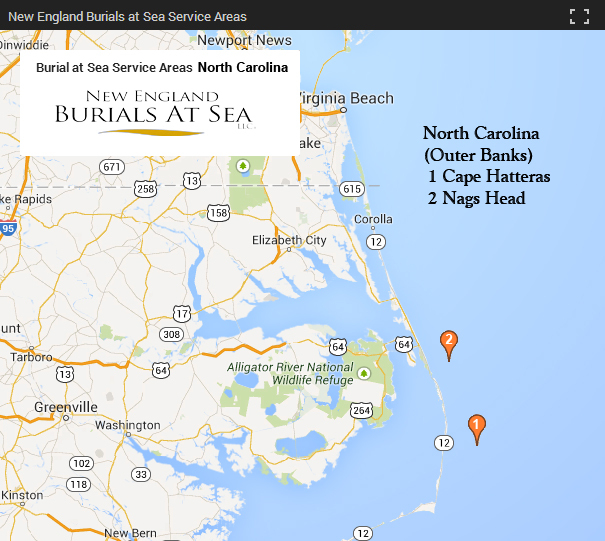 Our List of North Carolina Burial at Sea Departure Ports is Constantly Updating. To request a more convenient port location not currently on our list, please contact Captain Brad White. Conducting ash scattering burials at sea within sight of lighthouses is very popular. 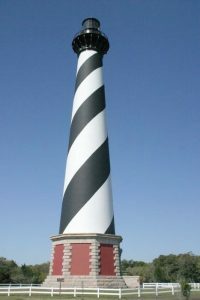 Lighthouses provide a tangible memorial and the ability to visit a fixed location and look out on the area where their loved ones were laid to rest. 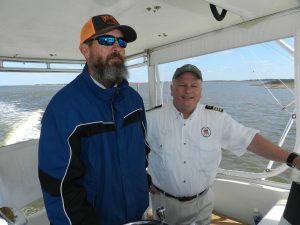 Captain Brad White, assisted by Captain Britton Shackleford, took the family of Melodie R. from Howardsville, Virginia to bury her Husband off North Carolina’s Outer Banks. 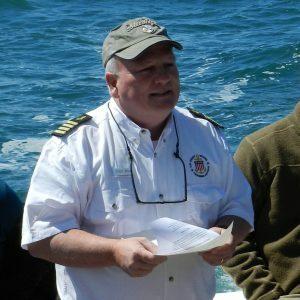 I had a wonderful experience with New England Burials At Sea! Captain Brad and his team are fantastic to work with! Very personable, kind, compassionate and professional! I was extremely distraught after the passing of my dear husband, and Captain Brad PERSONALLY walked me through the whole process. Offering suggestions and explaining how the service would go. I felt like I’d made a new friend before we’d even met! While the scattering of my husband’s ashes was extremely painful, it was a beautiful experience as well. I can think of no better way that we could have honored my beloved husbands life, and I’m so thankful that I found New England Burials At Sea! This is definitely the company you should choose when planning the final resting place of your loved one! Many client families call us to scatter their loved one’s cremated remains off of the beautiful outer banks area of North Carolina. We depart from Wanchese, NC right next to Nags head and depart out of the famous Oregon Inlet on a sturdy 65′ power boat that comfortably fits up to 22 passengers. We welcome you to give us a try to experience a wonderful day at sea like Melodie recently did.